Death. Dying. Cremation. Passing away. Grieving. All of these topics draw up emotions stricken with pain and sadness, and perhaps can be uncomfortable to discuss at times. However, since the loss of a loved one, family member, or friend and planning final arrangements are such significant events in people’s lives, these topics are of great importance and need to be discussed and dealt with from time to time. We all know people in our lives that we trust to discuss the difficult situations we deal with.Those people are gifts to our soul. The ones that we can talk to about these difficult topics and they make us feel heard, and somehow articulate the language about these subjects in a way that draws us in. They provide comfort and clarity in the times we need it most. In the online world of Twitter, the same phenomenon occurs. That are certain figures on Twitter that somehow bring up these awkward conversations of death, cremation, and end-of-life care, and create a commanding presence with their informative and compassionate content and tone. So much in fact, that they have grown their own communities of followers that appreciate their messages. 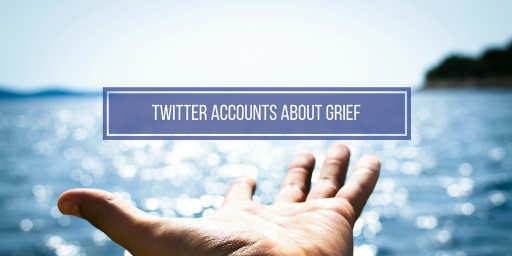 We set out to find the Twitter feeds that were creating a meaningful impact in the death and cremation industry. The ones that made our list tweet relatively frequently, have at least a thousand followers, and provide the greatest insight into these difficult topics. The Moyer Foundation was created to provide hope, comfort and healing to children and families that are affected by grief and addiction. On Twitter, they often tweet out informative articles, and resources about grief and addiction in families, such as the one below. They are committed to bringing awareness to the issues of bereavement and addiction, especially in children. More than 17,000 followers keep track of their feed. Did we miss any must-follow Twitter accounts in the death, dying, grief, or cremation industries? Let us know at our Twitter account, @heartindiamond.